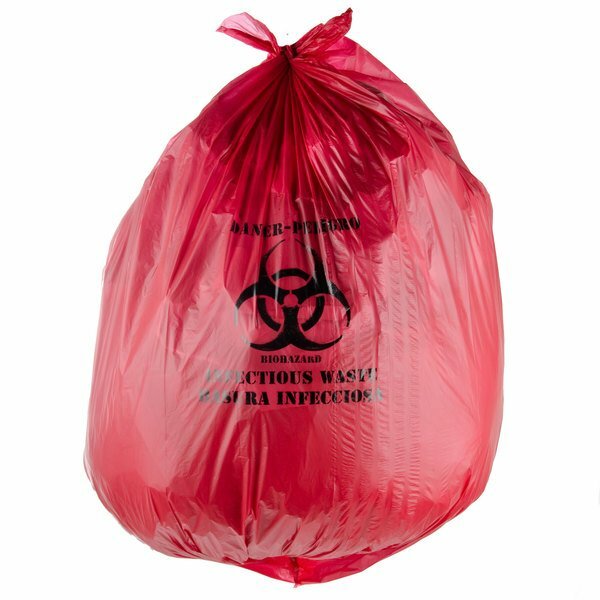 These 40-45 gallon 40" x 48" red isolation infectious waste bags / biohazard bags are a must for any hospital, nursing home, lab, or medical facility. High density isolation liners provide maximum film strength for tough applications. They feature star seal bottoms which allow equal weight distribution and leak resistance. 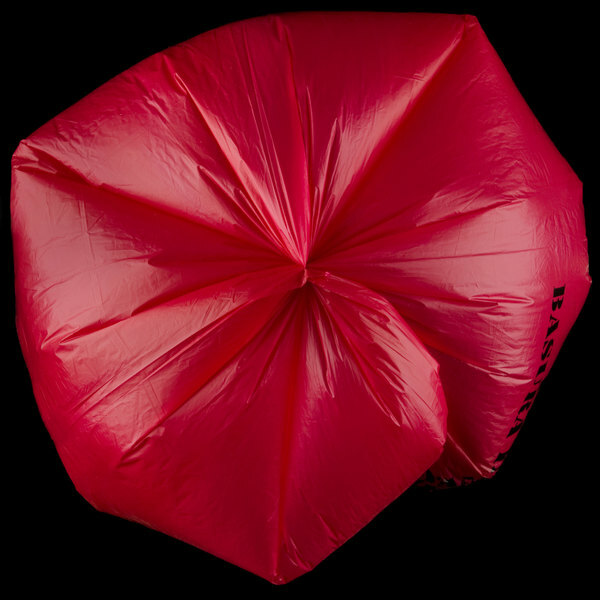 These bags are red to indicate use for infectious waste only. 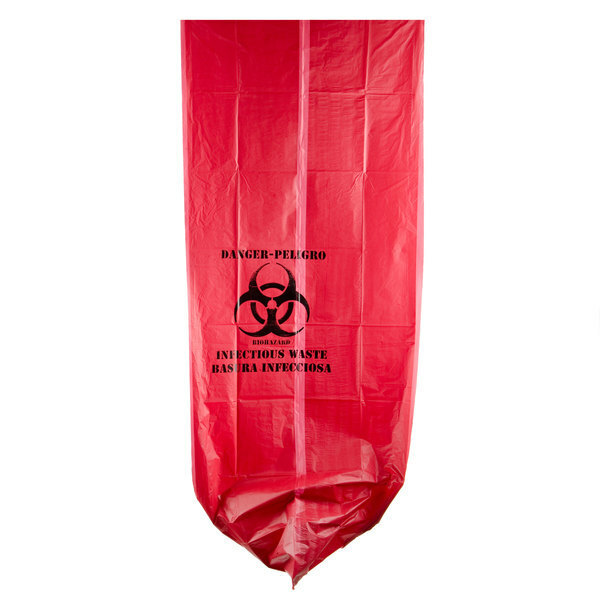 Bilingual (English and Spanish) descriptions and the universal biohazard symbol are featured to help ensure complete understanding for safety and proper use. Each bag measures 40" x 48" x 17 microns.